1. Have stuff that serves a double duty. For example, we don't own bowls and plates. We own 6 dishes that are deep enough to serve as bowls and wide enough to serve as plates. They meet both purposes and that way we only have 6 dishes in our cupboard. 2. Don't take everything that's free. Sometime your house isn't full of stuff because you love shopping and spending....sometimes it's full of stuff because people give you lots of things for free and either you feel obligated to keep it or think someday maybe you'll have a use for it. Just because it was free or it was a gift doesn't mean its worth the space it takes up. Sometimes it is worth it. I gratefully take useful hand-me-downs. We bought next to no furniture for this apartment due to hand-me-down tables and beds and cupboards from family and friends. But if the hand-me-down isn't adding to your life and it's just taking up space, you don't need to accept it/keep it. 3. Realize that not all 'necessary' things are truly necessary. We don't have a microwave, or a dryer, or a television set, or an oven--4 appliances that tend to be seen as 'staples' in many homes. We don't have those because our lifestyle doesn't require them at this point in time. We hang our clothes to dry, we reheat leftovers on the stove top, we don't bake, and we watch TV on the laptop. Your non-necessary appliances may be different from ours. Maybe you don't need a blender (we do, because of Angel's smoothie habit), or maybe you don't need a rice cooker (when you make rice 3 or 4 times a week like we do, it's worth it. When you don't? Probably not worth the cupboard space). "Everyone has one" is never a good enough reason to hold onto something that you don't actually use. 4. Consider using 'stackable'/'collapsible'/foldable' items for things you only need occasionally. With only the two of us, we don't need a lot of chairs on a regular basis. But when we have a group of guests over, we do. Having 10 or 20 nice, sturdy, comfortable chairs sitting around in our small dining/living room area would make the area very crowded, and would be inconvenient when I'm sweeping and mopping and need to move everything. So, instead, we have several stackable plastic chairs and stools that can come out when we're feeding a big group. When we're not, they can stay stacked and out of the way of normal life. Counting the stackable chairs and my yoga ball, which is my favorite and preferred chair (also the preferred chair of any kids that come to visit...wonder why? ), we can seat 16 people in our home. If we run downstairs and borrow my parents' stack of stools, we can seat an additional 8. And probably we shouldn't have too many more than 24 people at a party in this small of an apartment anyways... We have folding tables that we normally use as laptop desks in our spare room that we can easily bring out to the main room for large meals. 5. Don't be afraid to borrow. If your friends and family already have an item you need for a one-time use, does it really make sense to buy another one? I can definitely relate to not wanting to be a burden on others, not wanting to take advantage of their generosity, but sometimes borrowing really makes sense. Angel wanted to take instax photos, the tiny polaroid photos, for an event we were hosting to give as favors to guests. We didn't have the camera, but we had a friend with the camera, so we borrowed it for the night and just bought our own film to use with it. My parents have a massive DVD collection--we have a non-existent DVD collection because we can always just borrow one and then return it. 6. Do invest in the things that are actually important to your lifestyle. Don't keep things around that you don't use, don't keep clothes around that don't fit or that you secretly hate, don't keep items around just because it seems like you ought to have them even though you don't want them--but DO purchase and keep items that will be helpful for your lifestyle. Having 5 different pairs of athletic shoes is not important or necessary to everyone, but Angel has to have a pair for each sport he plays (did you know I would have never known that basketball shoes were different from running shoes if it weren't for him?). I have a sewing machine and a variety of art supplies, and hairstyling/coloring tools. We share a respectable collection of educational resources and games and props for lessons. And guess what, I don't know if you've noticed, but I don't wear a capsule wardrobe containing only black, grey, and white. I don't have a huge wardrobe, but what I have looks like a rainbow. 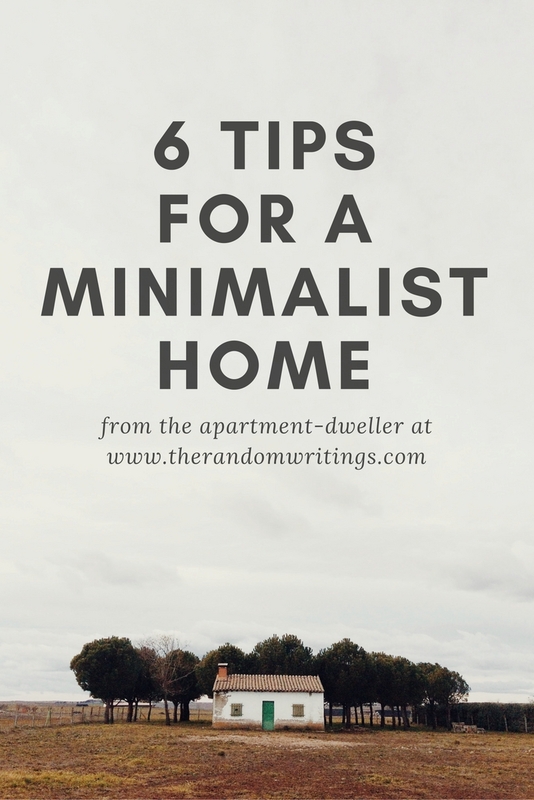 Do you have a minimalist home? What strategies do you use to keep your home clutter-free? Or are you more the personality who is more comfy in a less organized environment? These are some awesome tips! You've inspired me to go clean out some stuff. lol I did the 100 things challenge just a year ago (where you get rid of 100 things in your home) but I feel like I could maybe do that again. Especially with all the dishes and drinking glasses/cups we have. These are fantastic tips! The principle of not feeling like I'm obliged to keep something just because someone thought I'd like it is something that I've only recently learned and began mulling over in my head. I have a big pile of "get ride of" items that I've been forming and adding to, and next month I'll donate the items that are nice, and toss out the items that aren't. I really like how you mention borrowing things if you only need them a short time-I hate asking people for favors, but that's probably something I should practice doing more, because it makes so much more sense! These are great tips! I listened to a few episodes of the minimalist podcast during my recovery and am staring to get to action now that my vision is returning. Yes to all of these. I used to have a problem with #2, just keeping stuff around because it was free and I could maybe use it someday, but I eventually figured out that it was not worth my time or effort storing, organizing, or maintaining those things. I also like #6. I never read the Mari Kondo book, but she suggests that you "thank your belongings" for the joy they once brought you and then let them go - I don't thank inanimate objects, but as I was clearing out my kids' rooms I realized that we were keeping a lot of books and toys they no longer like, but I couldn't bring myself to get rid of them because they USED to love them so much. It helped to just look at the object and acknowledge that the item once brought us a lot of joy and good times. And then put it in a trash bag to bring to Goodwill so maybe some other family can enjoy it. This is super helpful! My husband and I live in a pretty small space, so I've been looking for ways to cut down on items, so that we're able to make space without it looking cluttered. I love the idea of having stackable items! These are all really great tips! I think I have the biggest problem with #2--especially in terms of saving things that I probably (really) don't need because I feel like "I'll find a use for it eventually." I'm a packrat of sorts. ._. The last couple years I spent moving all over the place kindasorta helped me to declutter a bunch though! I LOVE this post! I've been learning a lot about #2 lately - I have very generous in-laws who love to change out their furniture/purge through closets frequently. Consequently we've been the gracious recipients of many great hand-me-downs. But we've gotten a lot better about saying "no" when it is something we don't need/have room for/don't love. These are great! We did a big purging of our home last year and I'm itching to do more soon. My anxiety always increases with the amount of clutter in our home. These are great tips! I wouldn't say we are minimalists, but we do think long and hard before we buy something about it we really need it. I don't like clutter, and I also can't stand when the rooms are clean and organized but behind closed closet doors junk is crammed in everywhere! I purge regularly and really think about what we are bringing into the house! #2 has been our downfall so many times!! 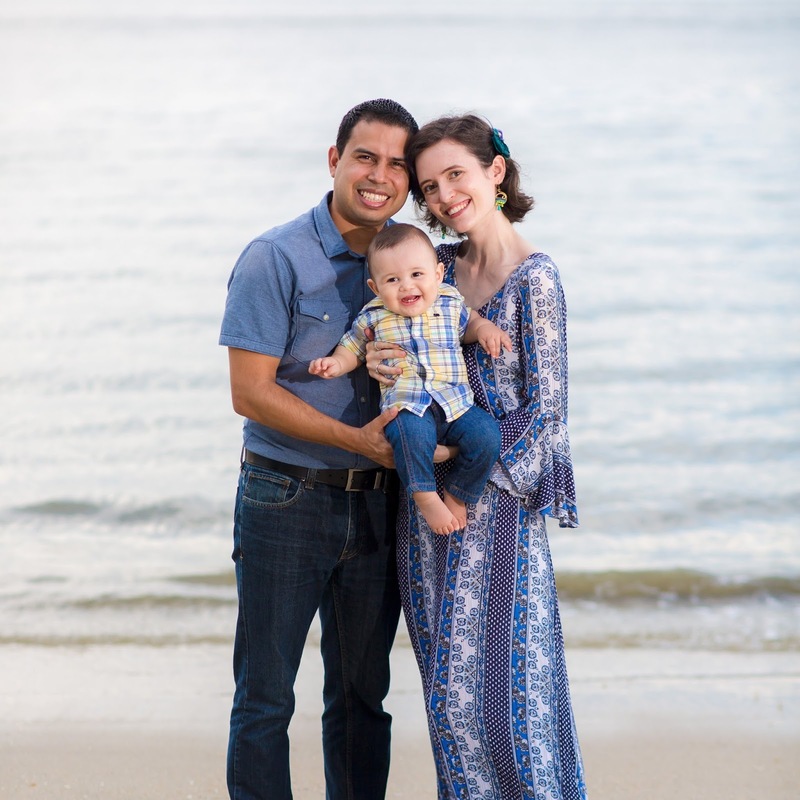 We've gotten better about turning down family heirlooms, but it's hard because I know it means a lot to my mother-in-law to have family things passed down. So we've tried to be better about saying yes only to items we know we'll actually use and gently suggesting that someone else (outside the family) might benefit from the rest. It's hard, though! I would like to be more minimalist, but I will never truly be minimalist. One of my goals for February is to declutter and get rid of unnecessary things, though. It's just that quite a few items truly bring me joy. Like all my throw pillows in the living room and all my kitchen gadgets. Oh, and my box of Instagram props. ;) But I know there are odds and ends around the house that I wouldn't miss. I just need to find them!